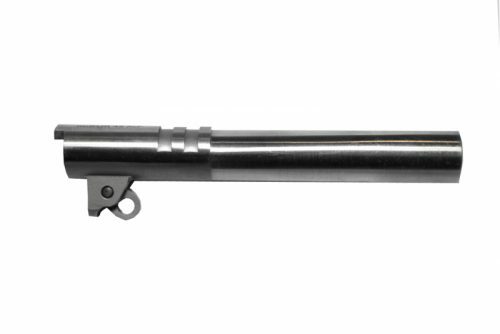 Triple heat treated, highest quality, superb match-grade barrels deliver maximum accuracy. Groove and bore tolerances held to an amazing .0002” by electro-discharge cathode machining (ECM). 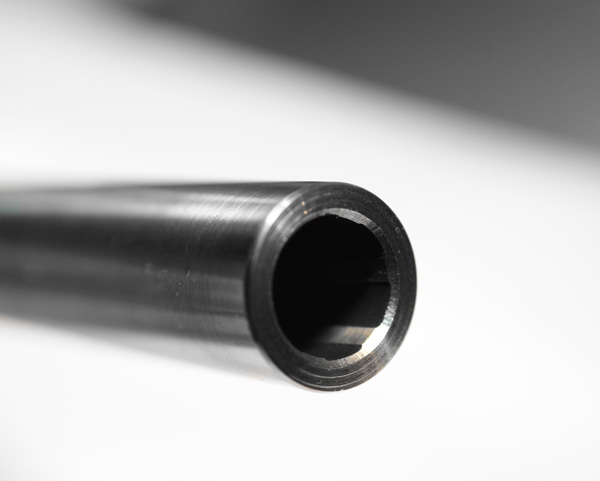 Rifling is ultra-smooth, uniform and precise. 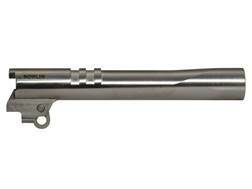 Smoother bore boosts velocity with all barrel lengths. 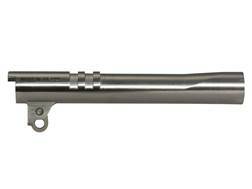 Unique, pre-cut design on barrel locking lugs ensures maximum lug engagement and aligns firing pin dead center on primer. 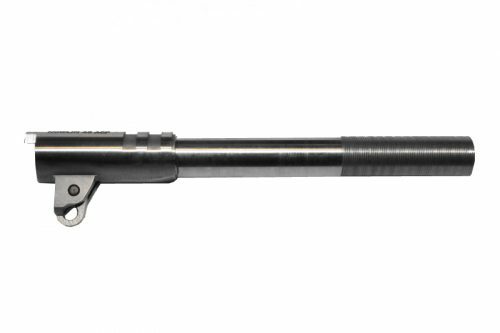 For conventional 1911 Auto’s with standard G.I. style frame ramp. 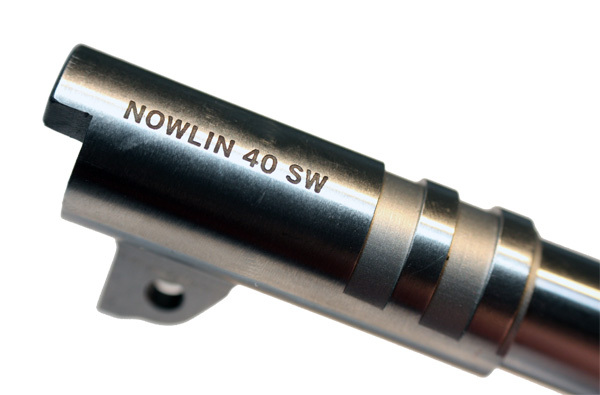 Our barrel is 416SS, with a hardness of 40RC, electrochemically machined (ECM) to our demanding standards. The bores are an amazing 8 RMS smooth and, when air gauged, vary less than 2/10,000″. That’s why they shoot less than 1/2″ @ 25 yards out of our barrel test machine. 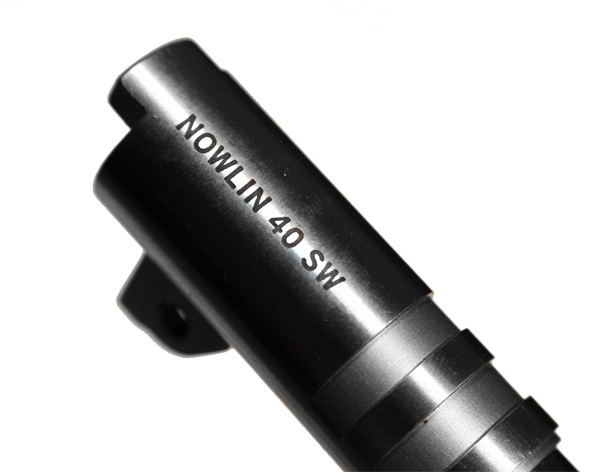 The Nowlin non-ramped barrel fits most factory standard non-bridge cut 1911’s. Barrel hood, bottom feet, and chamber are oversize for gunsmith-fit. 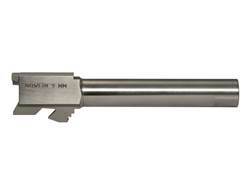 Use of Nowlin/Manson chamber reamer available from Brownells strongly recommended to avoid bore damage. 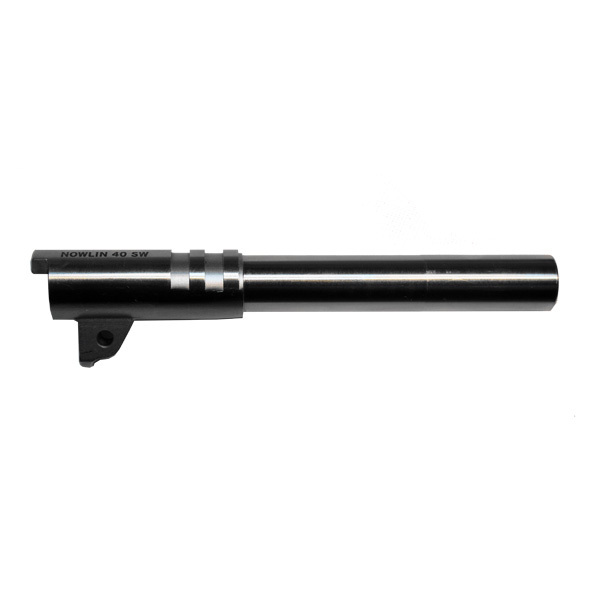 Available for: Lengths 6″, 5″ Govt., 4.25″ Commander; Calibers – 45ACP, 10mm, 40 S&W, 9mm, 9x23mm, .38 Super.